Here’s one in a couple different lighting situations, you can see the bezel layers well with direct overhead lighting. B-stock is coming and R2 is very high likelihood. These are PLA, not ABS. I may have stated that somewhere in err, so finishing methods like acetone vapour are not going to work. As for adjusting the bezel, I'm not sure what you mean - if you can make a diagram/picture or something more descriptive I can have a look at making potential adjustments. The translucent and glow-in-dark option when paired with the Paladin64 PCB is a total killer purchase for lots of Alps interested people. Which I hope, you can also collaborate with the Paladin64 PCB designer to let you re-run a batch of Paladin64. That's due to the angle. It covers the bottom when looking at it from a less extreme angle. See my IC pics. I have a line of communication with nachie, the paladin64 creator, so I'll talk with him and see if he wants to run some more for R2. Great if there can be more Paladin64 for more people especially those in the R2. I saw too that in some other angles the top edge is covered better. 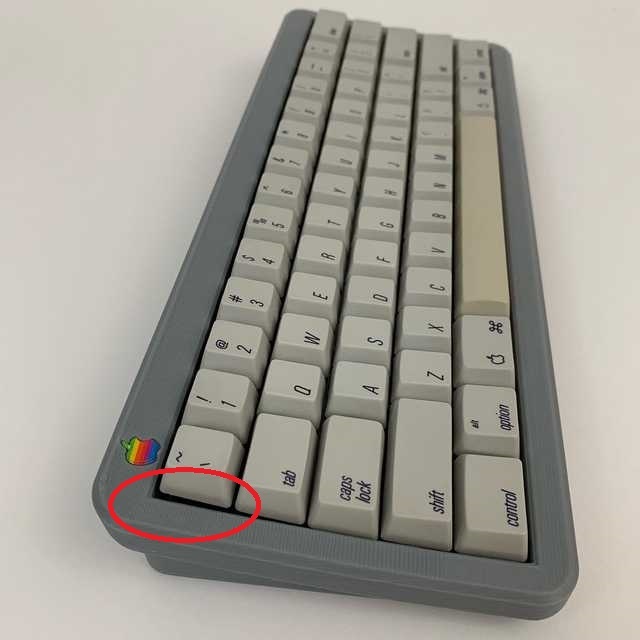 I have two AEK (I & II) cases at home right now, and I raised this point because I recently noticed the curve of the original AEK II case is not a uniform curve: it's more like the curve steepen above the shift row, and its the steepest just above the numeral row, kind of in between the numeral row and the F key row. Take apart the board, and there should be a pinhole behind the logo. Just poke it out thru there, you've only gotta break a tiny bit of 30 year old glue. I've got like 5 logos out without issues. This. I learned the hard way when I scraped mine slightly trying to pry it out. Was just smh when I saw that pin hole. LOL. Also, use a hairdryer on it for about 30 seconds to loosen the glue. It comes right out. Oh nice thanks! You guys are a pretty quick support system lol. As for gluing to the adk64..I was gonna try epoxy, is that overkill? I just smashed mine in there and it held with the old glue. Ah ok I think I'll try hot glue...Thanks!! Dang, I'm sad I missed this. R2 my man, or B-stock. I'll get right on an IC for R2 when B-stock goes live in a few days. I would absolutely love this for a regular 65% keeb and print it myself. The 3D printing texture on the final product is something I really dig as well. 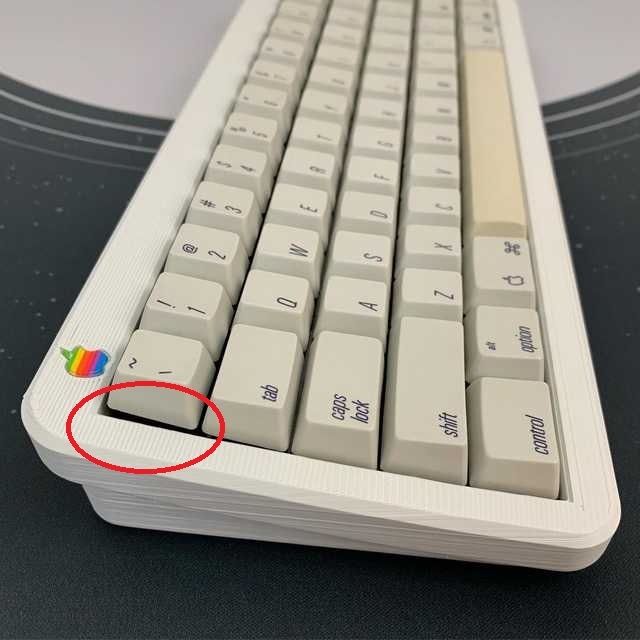 When ai03 wraps up the lunar GB I'm going to bug him about using his 65% alps pcb for the ADK65. That one will need a custom plate, so I'll probably do a case + plate + pcb combo if that ever becomes a thing. Haven't had a chance to build up the ALPS board I have planned for this case yet, but I wanted to give it a spin. So I threw my "Holy Zeals" build (V1 Zealio housings, Outemu Sky leaves, Halo stems, lubed with 3204) in it for now. It actually makes for a really good test of the acoustics since the Halo stems hitting off the Zealio housings is even louder & slightly higher pitched than Panda housings. In a KBDfans 5 degree case this build was loud, it sounded great but seriously loud even with sorbathane in the bottom. In the ADK64 it is much quieter (I do have the sorbathane in the bottom of it too), but the sounds still come through really nice. Basically it gives a nice reduction in the loudness of any sounds, but it doesn't muffle them. Pretty much exactly what I was hoping for out of this case, now I can't wait to get some brown ALPS in it! 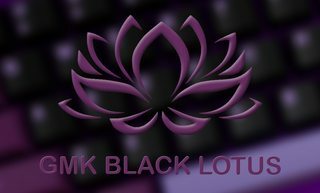 How are you guys that already have AEK builds in them feeling about the case & it's acoustics? This would be amazing if you could offer a full kit for a 65%, although even if it's just the case you can count me in for one. I'm very happy with my ADK64! Hopefully everyone has gotten their stuff, and if you haven't received it in a reasonable amount of time, don't hesitate to contact me. Belle has been busy, but she hopes to have B-stock ready to sell for this weekend. As soon as we open that up, I'm considering this GB basically complete, and I'm opening an IC for R2. I don't want to divulge too much, but I'm talking with inachie about running the paladin64 PCB (Alps PCB with qmk and underglow) along with custom plates for the next round. So stay tuned for that!